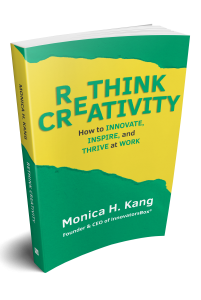 Monica Kang, CEO of InnovatorsBox® and the author of Rethink Creativity, has proven that by reconnecting with your innate creativity you can enhance your professional life. How? By allocating time each day to changing up your daily routine – like trying the daily special at your favorite restaurant, buying a set of paints to capture the sunset, and taking time to journal about your workday. As a result, you’ll start to construct a creative mindset – grounded in curiosity and a commitment to self-reflection – that will help you rediscover the passion you felt your first day on the job. Whether you’re looking to further your own personal advancement, are tasked with managing a team, or are at the helm of an organization, you’ll benefit from Monica’s proven strategies, thought-provoking questions, and effective training techniques. As you move through Rethink Creativity, you’ll start to enjoy your work again and find ways to be creative, curious, and innovative in the most mundane tasks. Regardless of your age, your job title, or your profession, it’s time to rethink your creativity. Check out Monica’s book on Amazon! Check out Monica’s book on the PYP Store! Check out Monica’s book on her website! Monica Kang is an award-winning educator and internationally recognized speaker who is transforming today’s workforce through the power of creativity. 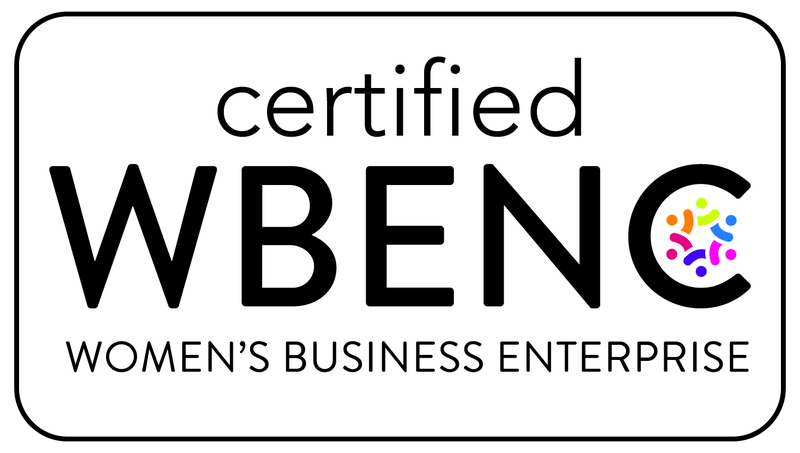 As the Founder and CEO of InnovatorsBox®, she is driven by the belief that everyone is innately creative, and that creativity can be used to catalyze personal and professional change. Through her innovative workshops, consulting, products, and curriculum, Monica teaches creativity to Fortune 500 companies, higher education institutions, government entities, and nonprofits in a tangible, practical, and relatable way—regardless of industry or job title. 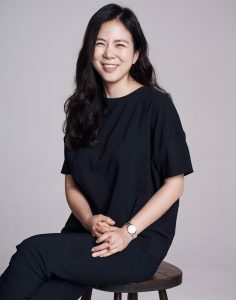 Driven by her lifelong love of knowledge, she is an adjunct professor at BAU International University where she teaches entrepreneurship and leadership. Prior to InnovatorsBox®, Monica was a nuclear nonproliferation policy expert in international affairs. She holds an MA from SAIS Johns Hopkins University in Strategic Studies and International Economics and a BA from Boston University. Find more Live Q&As with Authors and Publishers here!